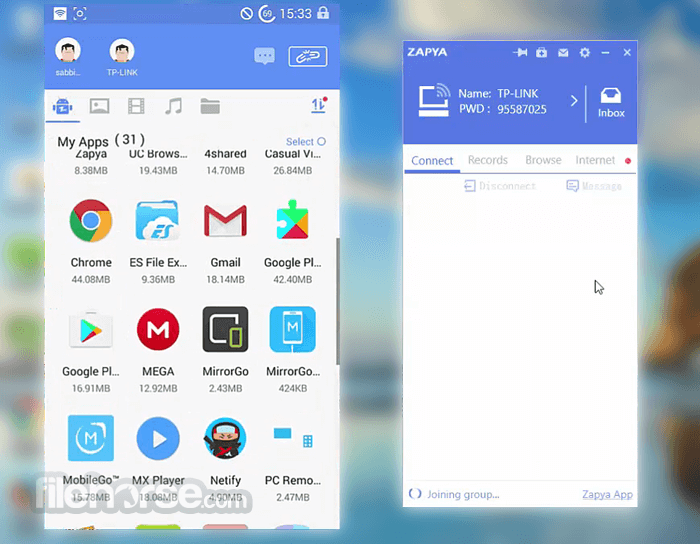 Zapya is a cross-platform file sharing utility that can help anyone send and receive file between PC and other supported devices, such as MacOS PCs, iOS, Android and Windows Phone. By focusing on simple setup procedure, the easy discovery of shareable devices and streamlined way of transferring files with unlimited speeds on all currently supported wireless transfer protocols, Zapya for PC has managed to attract a worldwide audience of over 300 million users. And it managed to achieve all this success by promoting a service that many of us want – to share files between our devices with no file type restrictions, serious bandwidth limitations, and most importantly, without cables! Zapya Desktop on Windows operating system can be installed in two ways. Via a dedicated setup app that supports all the modern versions of Windows (Windows XP. Vista, 7, 8 and Windows 10, both in 32-bit and 64-bit mode) and via Windows Store on Windows 10. No matter which version you pick, when you fire up the app you will be welcomed with the simple and easy to use interface that can help you identify local devices and start transferring files in no time. Because this app was made by Chinese developers, for some users the app may initially start up in Chinese-language mode. To switch back to English, all you need is to go to the Settings area and switch the currently active language mode. The functional user interface promotes easy file sharing. 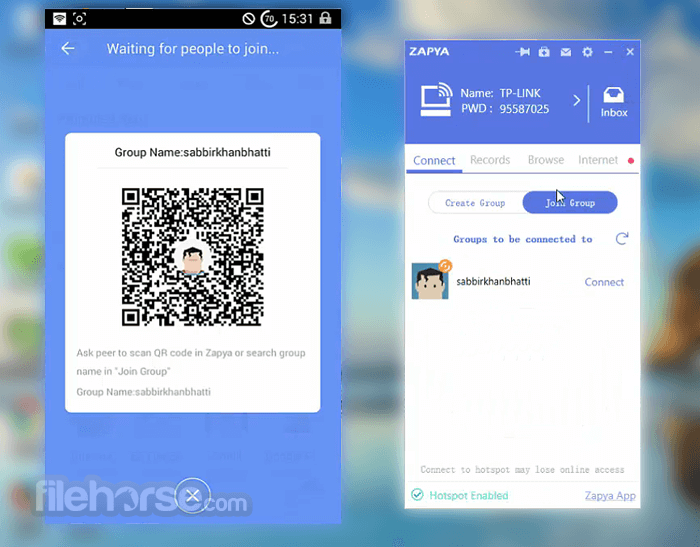 To start the file transfer, you will not require any authentication, and if your mobile phone does not have Zapya already installed, Windows app will provide you with QR codes to simplify the installation procedure. File sharing is done with simple drag & drop move, and to make your life easier, the app will also keep a log of the previously transferred files so that you can keep track of what was shared with what device. Settings area features only the most basic options, such as default file paths, language options, and startup configuration. Present in numerous Top50 app listings - Used by more than 300 million users worldwide. Self-contained file sharing utility – One app that can serve both novices and enthusiasts. Easy to use – Streamlined interface that enables easy lookup, the start of transfer and overview of logs. Not reliant on internet connectivity or mobile data plans. Requires no cables for file sharing - Transfer files via full speed of your local Wi-Fi connection. Utilizes the fastest wireless protocols – Zapya transfer files 100x faster than a regular Bluetooth connection. Share any file type, regardless of size – Share what you want, when you want. Support for “any-to-any” group sharing – Setup sharing to groups of up to 5 devices. Supports numerous languages – It can be enjoyed in English(default), Spanish, Persian, Indonesian (Bahasa), Thai, Arabic, Burmese, Russian, Vietnamese, Chinese (Simplified & Traditional). Note: Requires Zapya iOS or Android app. In the event that the GUI is not in English, the language can be reselected in the "Settings" section.